HUSBAND : Writer, David Harsent, aged 58. They met at a dinner party, and after a few full starts, due to work commitments, finally married in a registry office in Fulham, and went on to a restaurant with 30 friends. STUDIED : Julia studied English at University. PREVIOUS JOBS : She helped found a Community Centre in Newcastle, and worked at Nottingham Theatre, in Education. WHY SHE LEFT CASUALTY IN SERIES 12 : Julia was away from her home in London, for ten months of the year, in the end her young daughter made a plea to her with a letter, ‘Dear Mummy, please do not do the next series’. It was that letter that brought it home to Julia, that she had to return to her family. CAR : Estate – ‘for bikes and family clutter’. BOOKS : Appears in ‘CASUALTY : The Inside Story’ by Hilary Kingsley and ‘CASUALTY : Behind the Scenes’ by Rachel Silver. 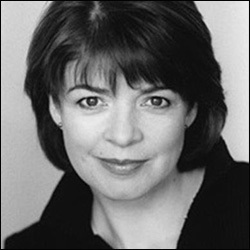 AGENT : Natasha Stevenson Management(NSM), Studio 7c, Clapham North Arts Centre, Voltaire Road, London, SW4 6DH.